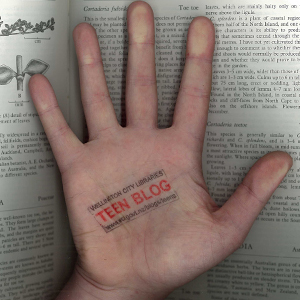 Teen Blog » Blog Archive » Love NZ books? Hooked On NZ Books is all about YA books written by New Zealanders. You talk about movies, music, fashion and apps, and now some clever people have come up with a way for you to talk about books too. You can get recommendations for what’s new and what others are reading and enjoying. If you want free copies of books to review, then you can get that too. And there’s even the opportunity to interview YA authors. Your opinions will feed directly into New Zealand’s publishing market, influencing what types of books are written and published in the future. Not sure what to review? Grab a copy of our Top Teen Reads booklet from your local library for some inspo.